Nothing ever happens on the Otter Lake reservation. But when 16-year-old Tiffany discovers her father is renting out her room, she's deeply upset. Sure, their guest is polite and keeps to himself, but he's also a little creepy. Little do Tiffany, her father, or even her astute Granny Ruth suspect the truth. The mysterious Pierre L'Errant is actually a vampire, returning to his tribal home after centuries spent in Europe. But Tiffany has other things on her mind: her new boyfriend is acting weird, disputes with her father are escalating, and her estranged mother is starting a new life with somebody else. Fed up and heartsick, Tiffany threatens drastic measures and flees into the bush. There, in the midnight woods, a chilling encounter with L'Errant changes everything ... for both of them. 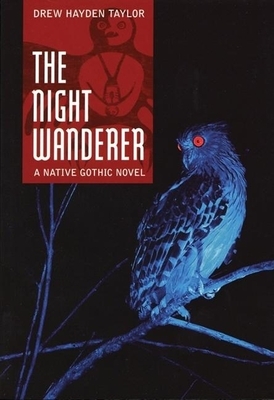 A mesmerizing blend of Gothic thriller and modern coming-of-age novel, The Night Wanderer is unlike any other vampire story. Drew Hayden Taylor is an Ojibwa author, humorist and playwright who has also worked in film and television. He resides on the Curve Lake First Nations reservation in central Ontario.